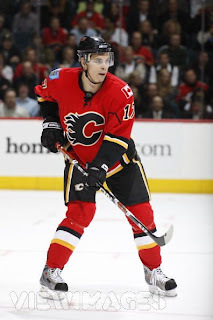 Rene Bourque scores three goals to get his first hat-trick in a 6-3 Calgary Flames win over the Ottawa Senators. Awesome! The biggest movie of the year is released on DVD/Blu-Ray, today. Also, I am going on vacation. Yeah, you guessed it, I will spend my time off watching The Dark Knight and all the special features. I also just got Call of Duty: World at War for PS3...yep, that is pretty much what I will be doing. Although walkinvisible would rather have me updating my blog during my free time. Flames take on Canadiens tonight in a rematch of the 1986 and 1989 Stanley Cup Finals, the last time two Canadian teams met in the Finals. Could tonight's game be a sneak peek of the 2009 Cup Finals??? 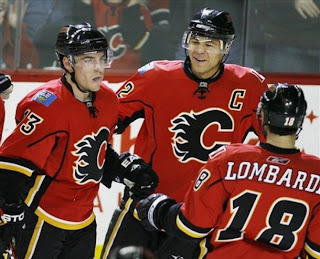 GO FLAMES!